America’s health care system impacts senior care. Hospitals, specialty, and primary care physician networks, long-term care, hospice care, insurance providers, and healthcare teams make up America’s health care system. Physician shortages exist. Costs related to senior care are shocking. Healthcare literacy is low, meaning that consumers lack the skills, education, and ability to advocate for care. The United States is not a prevention society. Information that would be beneficial to younger populations so that they can avoid being old and sick is not commonly discussed. Few, if any reasons exist to make an effort to prolong the life of seniors in their 80’s and 90’s. Care in the last year of life is costly. Many seniors do not fully recover from common illnesses like pneumonia or accidents like hip fractures. The health care systems know that seniors are on a path toward the end of life. The belief is that health care dollars should be invested in the young who will live longer and who can contribute to society. Working as a professional caregiver over the past twenty years reinforced my belief that seniors deserve better than average care. Many of my senior clients trusted physicians with their lives. My senior clients trusted me with their care. The older generation views the medical profession with reverence. Few seniors think of questioning or disagreeing with their physician. Physicians are pressed for time. They see 10-20 patients each day. It is impossible for them to remember every last detail of a patient’s medical care or history. When questions are not asked by family caregivers or senior adults, problems happen. Information about changes in health is not relayed leaving the physician to believe that everything is okay–when it may not be okay. Blind trust by seniors adds to the belief by physicians that seniors have lived a full life. When seniors fail to ask questions or advocate for care, physicians believe that the senior has become complacent. Getting better than average care does not happen without effort. Learning to advocate for good care is a skill that caregivers can learn. Beliefs about not caring are based on lack of interest by seniors to participate in physical activity, improve nutrition, and engage in healthy lifestyles. To their detriment, many seniors ignore recommendations from the health care system. While this may be due to a lack of explanation of the consequences of not participating, many seniors are stuck in longstanding habits that negatively affect their health. Non-compliance, meaning refusing to follow through with medical recommendations, results in the health care system turning away from the idea that seniors deserve better than average care. Why help someone who does not want to help him or herself? This perception about seniors is prevalent across America’s health care system. The goal of most seniors is to remain in their own home during their entire lifetime. Without the skills to participate in activities that support health and well-being, many seniors move into care communities and nursing homes as a result of declining health. Three main areas impact America’s health care system from providing good care to seniors. How to make things better is a more challenging aspect. The way to make things better begins in childhood with a good education. Individuals with higher education possess levels of health care literacy necessary to receive good care. It is also important for professionals with higher education who interact with consumers to understand that literacy gaps exist so that detailed explanations may be provided when relevant. Lifelong learning benefits everyone. Social skills gained throughout life support positive interpersonal relationships and communication. Good social skills support the ability to interact with health care professionals and to advocate for care. Seniors become more isolated with age, which is a risk of receiving good care. Research confirms that positive and regular social interaction supports good health. The idea of healthy aging is not well-publicized or supported by the health care system. Without education and social skills that support the desire to learn and access new information, seeking out information about healthy aging is less likely. Priorities favor immediate gratification versus long term goals or benefits. Imbalances exist between the desire to want to eat a pizza instead of having the self-control to make a better food choice. The long-term effects of health literacy, the benefits of social skills, and a lack of focus on healthy aging have resulted in how America’s health care impacts senior care. Without a focus on areas that have long term benefits in childhood, society will remain unable to change the course of making senior care better. Change begins with each of us. The opportunity to change begins each day again. The future of our health in old age will be the result of the actions and choices we make today. How will you choose to age? Senior care is impacted by America’s health care system that defaults to treatment over discussions about prevention. Health education is lacking about healthy aging. Little education occurs in schools or throughout the health care system about the dangers of smoking, being overweight, eating unhealthy foods. Health care professionals do not take the time to explain information at a level that most patients can understand. Patients feel embarrassed and do not know the right questions to ask. A failure to speak up results in patients leaving medical appointments confused. This failure to communicate results in poor care and a lack of follow through. Caregivers and younger adults can improve knowledge of the health care and caregiving systems through participation in caregiving support groups. 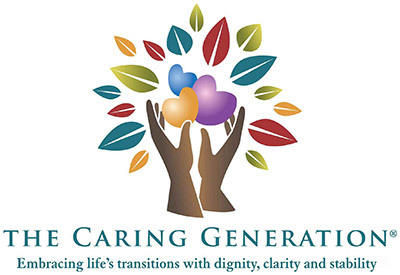 Open registration is available for my FREE monthly online caregiving support group. Opportunities exist to improve health care literacy. All that is needed is the desire to show up. My FREE family caregiving Facebook support group also provides information to support family caregivers and senior adults. Patients bear equal responsibility for communication gaps. Health care professionals can be direct because of limited time. This directness may be perceived as condescending or as talking down by the patient who then shuts down and refuses to listen or becomes angry. When health care literacy concerns exist early in life, poor health habits continue and may become more significant with age. The solution for how to make things better is, in part, a more highly educated population. For seniors who want to remain in their homes, taking an active role in care, even when family caregivers are involved is necessary. Caregiving and care receiving is an equal responsibility. Health care literacy represents a significant gap in the senior population. Workers in the health care system are time pressured. Little time is spent discussing health care diagnosis and alternatives for treatment. Medical appointments are limited to 15 minutes or less. Without persistence and continual follow through it is difficult for seniors to receive better than average medical care. The challenges of making phone calls to insurance companies and provides with lengthy telephone trees, press 1, press 2, press 3, is a daunting task especially for seniors with hearing difficulties. Attempting to work through the bureaucracy of the health care system to set follow up appointments or tests is difficult. Many adults, seniors included, lack understanding of the benefits of prescription medication, including how to take medications correctly. Reasons for medications being prescribed are not understood. If there are issues with insurance paying for medications, many seniors do not have the prescription filled. Simple information, like an explanation of why one is calling to make a specialist appointment, if not explained to the patient in an easy to understand manner results in failure to set the appointment. 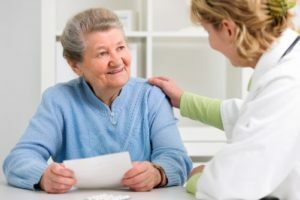 When health literacy has been a lifelong gap for seniors, intervention, and assistance by family members with better advocacy skills is necessary to receive care. We have the opportunity to learn social skills as children. Our parents model these skills for us. In the classroom, these skills allow us to learn to communicate and get along with others. Learning to respond to situations of conflict is supported by social and communication skills. Confidence is gained through experiences beginning in childhood. When gaps exist in social skills, children may become isolated and have difficulty interacting with others. Social skills and good communication skills make it more comfortable to go into strange environments like a doctor’s office. Seeing a doctor for the first time may be an uncomfortable experience. Patients may need care but don’t know how to communicate helpful information to the doctor that supports a diagnosis. Possessing adequate social skills supports confidence and self-esteem. Interactions with others are more positive as the result of confidence gained through ongoing social interactions that are positive. Social and communication skills are relevant to working with America’s health care system that is not always friendly, supportive, or responsive. Social isolation results in stress, difficulty communicating with others, and challenges in the ability to advocate for care. Communication difficulties are significant when care needs increase because of the complications of working with the health care system. As seniors age, they become more isolated. Sitting at home all day results in physical inactivity which increases the severity of health conditions. Isolation fuels anxiety, depression, and increased health challenges. Participation in social groups has the potential to delay Alzheimer’s disease and cognitive decline. Seniors who are isolated may have greater difficulty attending medical appointments. 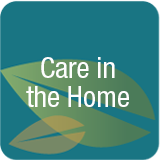 Regular medical care is important to support seniors who have the goal of remaining at home. Being proactive about care, including understanding the reasons one may have to leave home, can support the actions of family caregivers. Adult children are the main caregiving supports for aging parents. Support from adult children caregivers makes the difference between an aging parent being able to remain in the home versus having to move to receive care. All involved with seniors have the opportunity to see the future. Seniors in their 80’s and 90’s did not have the benefit of knowing at an early age about advances in medical care and the benefits of healthy aging. Many in this age group will receive care through Medicaid. Medicaid divorce, on paper, happens. Those of us who are younger have access to this information. We can change our future. Regardless of family history, our daily habits can and will affect our health when older. Being proactive is important. Showing up for our own care is important. Participating in caregiving support groups that help caregivers and support better than average care for older adults is a solution. By embracing healthier lifestyles, we will change the future of America’s health care system and the impact on senior care. We know how to make things better. We can choose our future as part of the next wave of the senior population.